In Nov. 2017, the board adopted an ordinance that bars the sale of any county approved marijuana grow registration or permit. Even so, registration and permit owners are permitted to have others invest in their cannabis businesses. 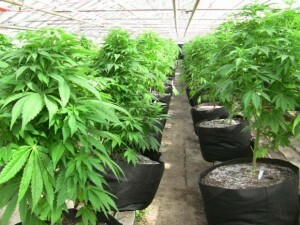 The misinformation published by the Tribune and repeated by others created concerns among marijuana registration owners who are in negotiations with investors. Under the ordinance, only 141 of the marijuana growers who registered as collectives or cooperatives with the county are permitted to obtain permits to continue their commercial operations, if they meet the new permitting requirements. However, a group of registered growers has had issues with county staffers review of their applications. For example, several growers said staff had directed them to check both the box for collective and personal grow on their county applications because they were a collective and they also grew for personal use. However, as of Jan. 1, the approximately 20 growers who had been operating as collectives but were deemed personal grows were unable to apply for permits to grow cannabis in the future. As a result, under state law the growers were banned from selling last year’s crop. Multiple growers then contacted county officials to voice their concerns. During Tuesday’s meeting, Supervisor Debbie Arnold said she wanted to clarify that only one permit is required per grow site and that growers cannot sell their county registrations or permits. Supervisors Arnold, John Peschong and Bruce Gibson then voted unanimously to allow the 20 growers who had marked both boxes and another group of people who were not able to apply for permits because of clerical errors to apply for a grow permit. The motion also expanded the duties of county cannabis officers and noted that only one land use permit is needed per site. The motion did not include any language about selling or investing in county registered marijuana grows.